With easels and sketchbooks in hand, Lunenburg School of the Arts’ students set out to capture the Town of Lunenburg at several locations including the gorgeous view of the Town as seen from across the harbour, the Blue Dream Project schooner at the Lunenburg boat shed, and several beautiful historical homes and public buildings. Equally enthusiastic, LSA’s Volunteer Chair, Senator Wilfred Moore and his wife Jane Ritcey dusted off their sketchbooks and registered for our Building a Drawing/Drawing a Building course with instructor Roger Mullin. 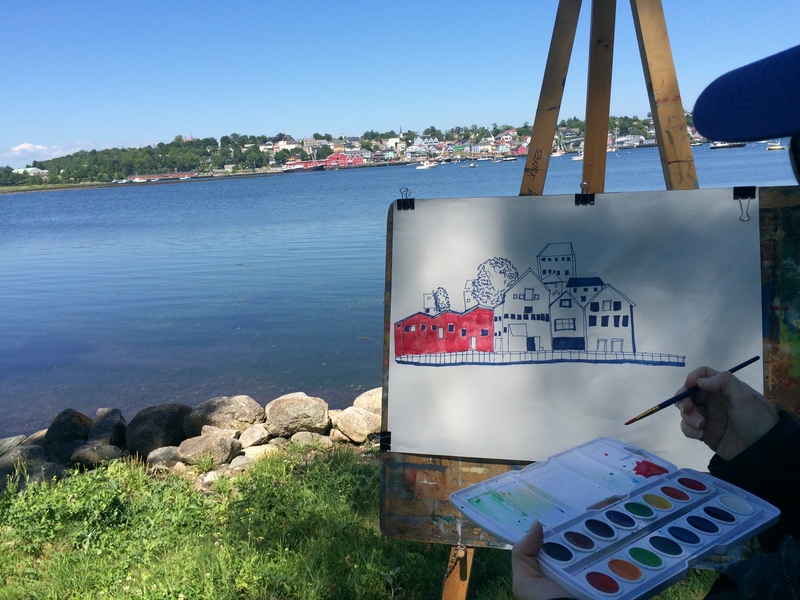 Both took to the streets with the rest of the class, not only to improve their drawing skills but to also get first-hand knowledge of the Lunenburg School of the Arts workshop experience.